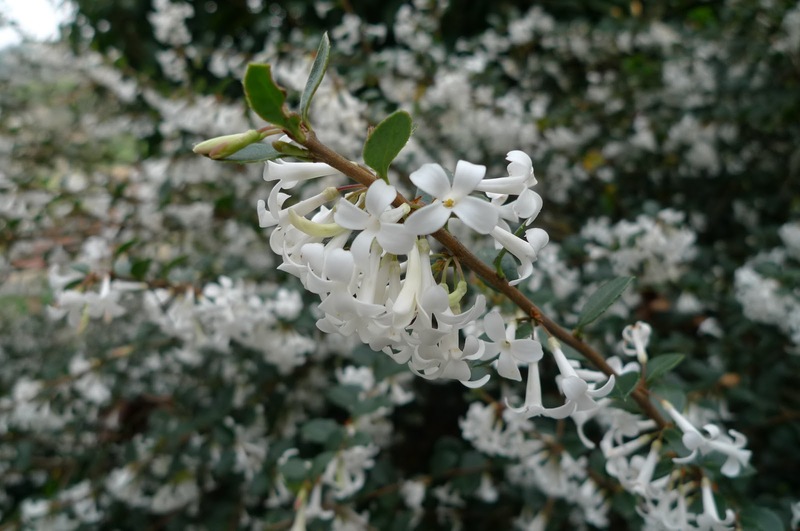 Unimaginatively known as the Delavay osmanthus, Osmanthus delavayi is gem of an ornamental evergreen shrub noted for its fragrant spring blooming. Native to southern China, it was discovered for western science in 1890 by Jesuit missionary-botanist Fr Pierre Jean Marie Delavay (hence the species name) in the mountains near Lan-kong in the Yunnan province. Osmanthus delavayi is a slow-growing, medium-sized shrub which under favourable conditions will reach a height and spread of between 2.5-4 metres. The dark-green, rounded or ovate, sharply-toothed opposite leaves are up to 2.5cm in length. 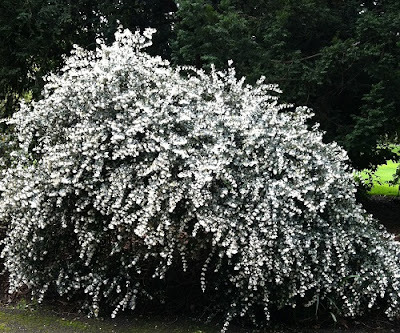 Abundant small, highly-scented jessamine-like white flowers are produced in clusters and are freely produced in April. These are then followed by small, blue-black berries.